All litigation attorneys in Maryland are probably very familiar with the Maryland Pattern Jury Instructions (“MPJI”). The MPJI published by the Maryland State Bar Association through the efforts of a special MSBA committee comprised of practitioners. Both the Criminal and Civil MPJI are widely used by judges across the state to give written instructions to juries. The Court of Appeals has repeatedly made clear that the Pattern Jury Instructions have “no official status” and trial courts are not obligated to use or adopted them. Armacost v. Davis (Md.2019) However, the reality is that the MPJI are universally relied on by judges and attorneys alike when instructing juries. The Maryland Pattern Jury Instructions are intended to provide short, understandable and accurate statements of certain points of law in Maryland. The original version of the Pattern Jury Instructions was first published back in the 1980s. Since then the MPJI have been periodically revised and republished to reflect significant changes and developments in Maryland law. The most recent revision of the MPJI is the 5th Edition which the MSBA published in the fall of 2017. Among the many changes and revisions in the 5th Edition of the MPJI is a new definition of proximate causation at § 19:10. The new changes to the causation definition at 19:10 have raised major concerns among personal injury and medical malpractice attorneys and for good reason. The new version of MPJI-CV 19:10 mischaracterizes the applicable law of Maryland and confuses causation in a way that is highly prejudicial to plaintiffs, particularly in medical malpractice cases. Causation is often a pivotal issue for juries in medical malpractice cases, particularly when multiple defendants are involved. Maryland law on proximate causation in these types of malpractice cases was clearly established in Stickley v. Chisholm, 136 Md. App. 305 (2001). Stickley makes it very clear that causation only requires that a defendant’s negligence be “a” cause of the injury. It does not have to be “the” only cause of injury. In Stickley, the trial court instructed the jury that “in order for a Plaintiff to recover, the negligence alleged must be the cause of the injury” (emphasis added). The Court of Special Appeals held that this instruction mischaracterized the law “because it erroneously suggested that proximate cause must be the sole cause of injury.” Id. at 313. 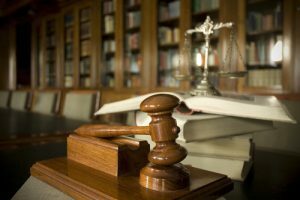 The trial court instruction should have stated that the negligence “must be a cause of the injury,” AND that “there may be more than one cause of an injury.” The plaintiff in Stickley was granted a new trial based on the erroneous instruction. To date, the decision in Stickley has never been overruled or questioned by the appellate courts of Maryland. In fact, Stickley is widely cited as stating the law of Maryland on the subject of proximate causation involving multiple tortfeasors. Federal judges in Maryland have recently followed Stickley in holding that “[u]nder Maryland law, negligence that qualifies as a proximate cause of an injury need not be the sole cause; rather, an injury may have more than one proximate cause. Young v. United States, 667 F. Supp. 2d 554, 561 (D. Md. 2009). See also Goodie v. United States 2013 U.S. Dist. LEXIS 122343 (D. Md. 2013)(holding that doctor’s breach “need not be the sole cause of injury”). MPJI-CV 19:10 (4th Ed.) (emphasis added). This statement of the law of causation in the MPJI existed without issue for 17 years. MPJI-CV 19:10 (5th Ed.). It is entirely unclear why the Committee on Pattern Jury Instructions decided to make such a major revision to the causation instruction. The newly revised version of MJI-CV 19:10 is not a correct statement of Maryland law on causation as set forth in Stickley. The explanation of proximate causation in Stickley is still good law. However, the definition of causation in the new 19:10 is directly at odds with the holding in Stickley. The new version of 19:10 inappropriately raises the burden of proof for plaintiffs in malpractice cases involving multiple tortfeasors. First, the new version of 19:10 completely eliminates the key phrase “must be a cause” of the injury. In Strickley, the COSA made it very clear that this language is critical to the definition of causation. It was so significant that the court ruled it was a prejudicial error for the trial court to substitute a single word (“a” for “the”). The elimination of this key phrase in the new version of 19:10 completely subverts the holding in Strickley. The new version of 19:10 goes even farther by interjecting the concept of foreseeability into the definition of causation. Specifically, the new MPJI 19:10 states that the injury must be a “reasonably foreseeable consequence” of the negligence. Reasonable foreseeability and causation are related but separate tort law concepts. It even has a separate Pattern Jury Instruction (MPJI-CV 19:3). In many instances, foreseeability is actually a question of law for the judge and not something that is decided by the jury. See, e.g. Pittway Corp. v. Collins, 409 Md. 218, 223 (2009). The definition of causation set forth in the original version of MPJI 19:10 contained no reference whatsoever to reasonable foreseeability. The old version of MPJI 19:10 remains a clear and accurate characterization of Maryland law on causation as articulated in Stickley. The newly revised version of MPJI 19:10 misstates the applicable law in a way that increases the plaintiff’s burden of proof. Using the new 19:10 would unfairly prejudice Plaintiffs, in this case, the same way the plaintiff was prejudiced in Stickley.